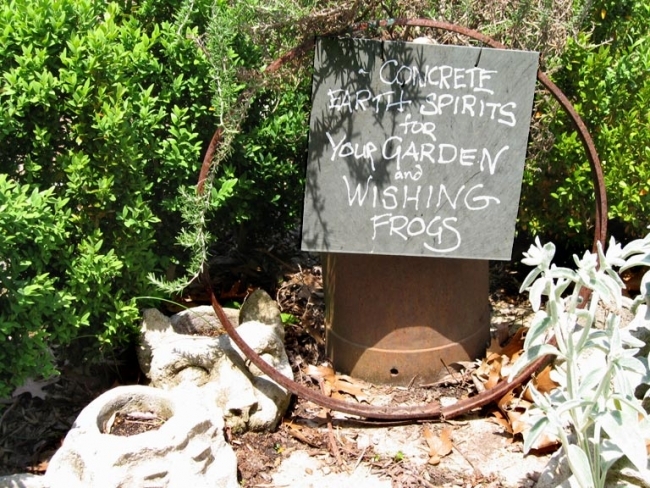 "Herbs have been used for thousands of years to help people create and sustain a healthy and vital life..."
Our beautiful herb garden has a fascinating array of culinary, medicinal, aromatic, and flowering plants. The garden and its tenants, the angora rabbits, are shaded and sustained by a small grove of edible bamboo. We use organic intensive methods in the cultivation cycle. 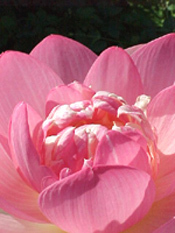 In most cases we lift plants directly from the garden for ease of transplanting and optimum size. We will be glad to help with any cultivation questions or share information about preparation and use. The garden is open by appointment March through October. Please call first to stop by and browse. We will be glad to help you with any herbal questions or problems that you might have. 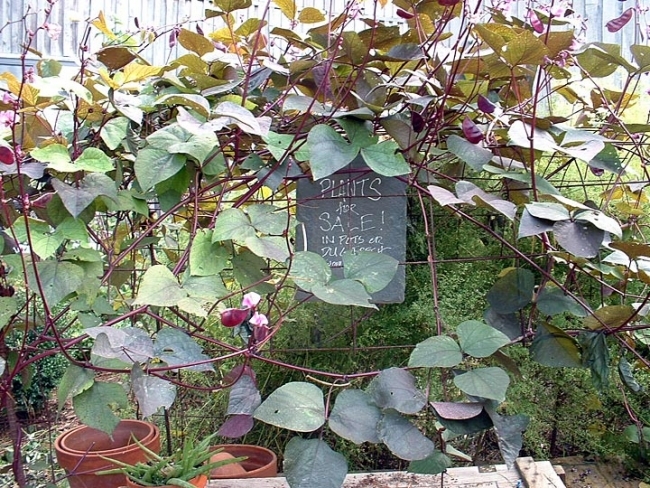 We offer for sale a wide variety of plants propagated directly from our working stock. Tours are welcome. One event per year is currently offered. Here is the invitation for the current calendar year. Join Hildegard & Ira for a guided tour. 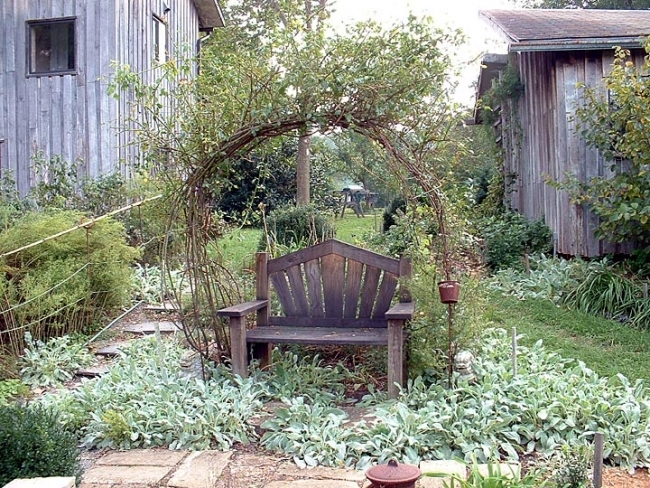 Join Hildegard and Ira for a Guided Tour of the Twin Oaks Herb Garden in Louisa, Virginia. Enjoy assorted sweet & savory herbal treats and teas. You'll receive recipes and have time to chat with our herbalists. 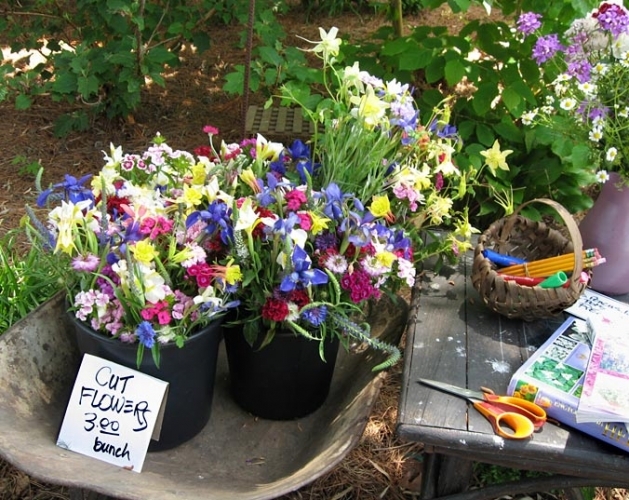 Plants from the garden will be available for purchase. 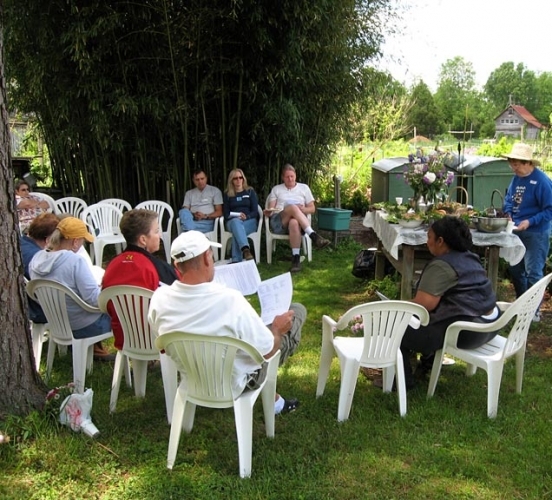 Studied at New College Environmental Studies Institute, workshops at N. C. Botanical Gardens, and Ontario Herbalist Society at Dandelion Community, Certified Plants Person with the Ontario Board of Horticulturists. 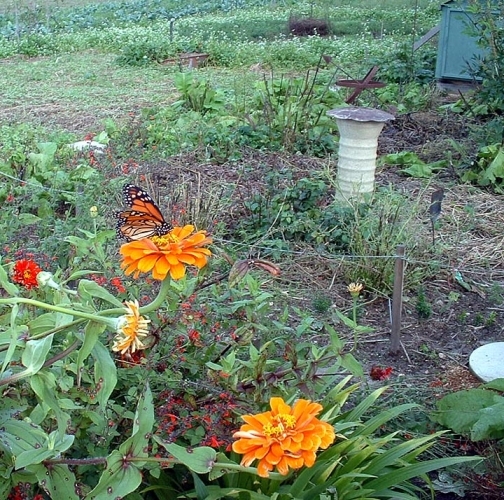 Organic gardener, writer, homesteader, specializing as herbal consultant. Maker of herbal products, salves, balms, tinctures, wreaths, etc. Historical note: Boston settlers used this plant for tea after dumping Brittish tea in a tax resisting action. Pyrrolizidine alkaloids found in comfrey leaves and roots have reportedly caused liver damage when eaten over a long period of time. External use is safe. Too powerful to use without medicial supervision. Excessive doses can cause severe depression. Here's a small selection of photos from the Herb Garden and one of our annual herb day events. 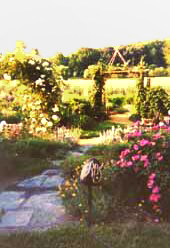 Arbor. A beautiful sitting spot that looks out over the herb garden. Courtyard buildings visible behind. 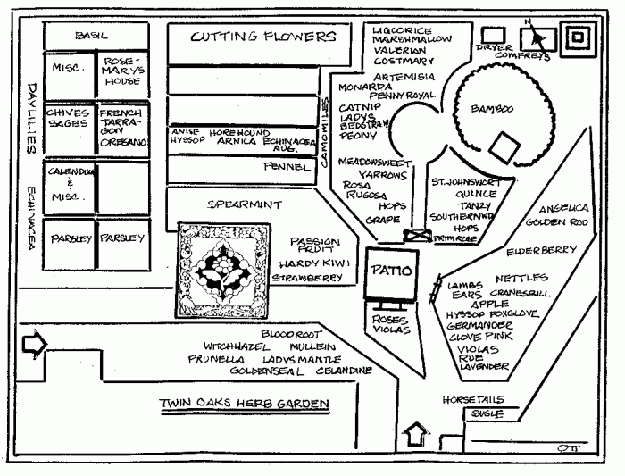 Cutting garden. Set up to encourage members to self-serve in the cutting of ornamentals. For sale. 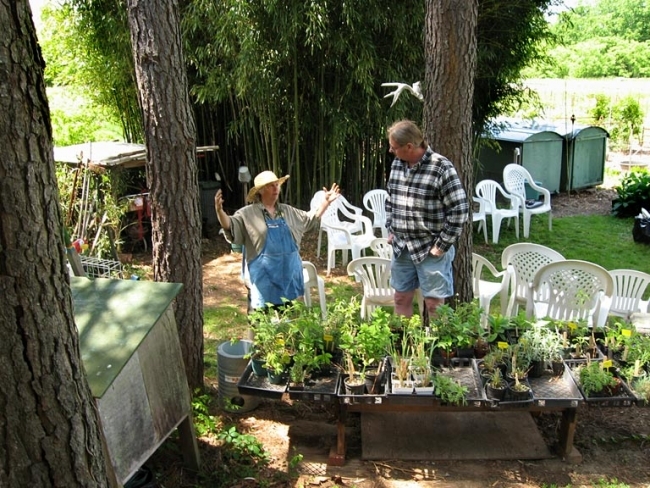 Various potted plants are sold from the herb garden, particularly during the annual herb day workshop. 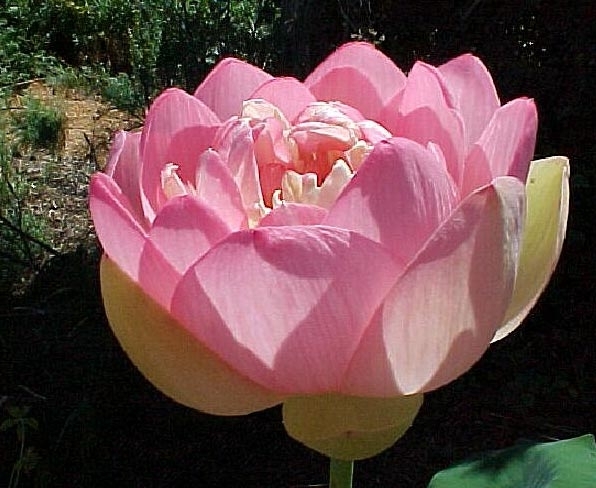 Lotus pond. 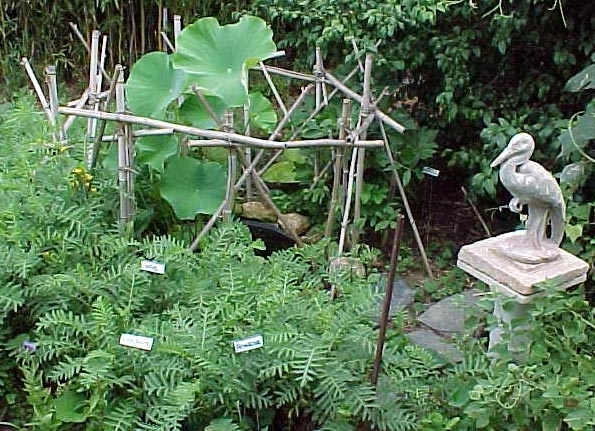 Large leaves inside bamboo fence are lotus, in a goldfish pond. Monarch butterfly. 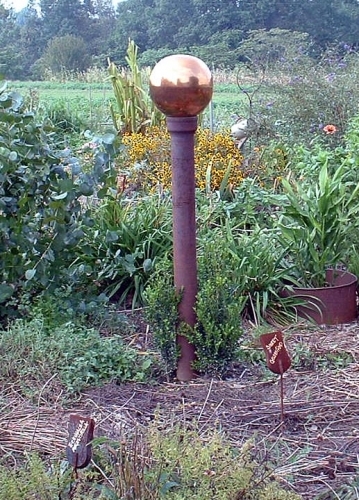 Sundial visible in middle ground. 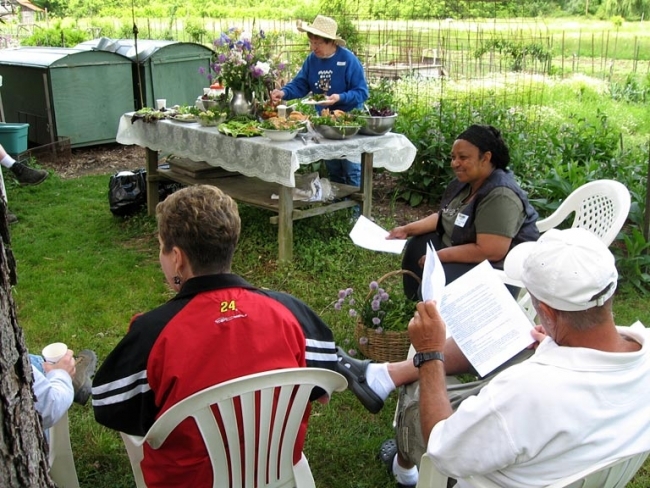 Herb Workshop (2007 photos)(renamed Herb Day for 2012). One-day event held annually in May. Ira Wallace presenting. A large garden next to the Courtyard buildings complex. 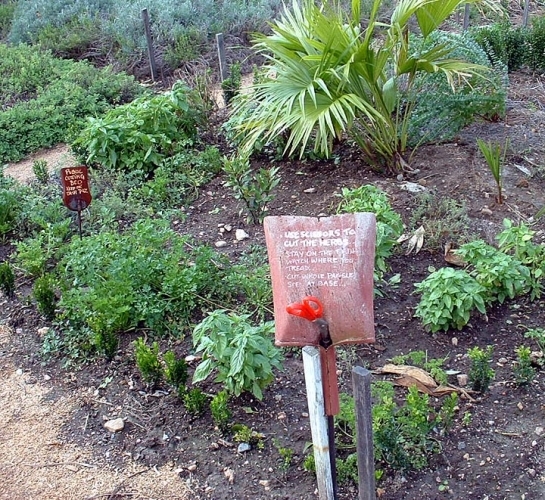 Includes hundreds of culinary, medicinal and ornamental herbs. An annual workshop open to the public is given here.